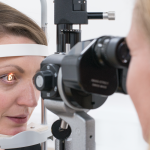 Welcome to the first of a three-blog special, covering all you need to know about cataract surgery by Consultant Ophthalmologist Jonathan Ross. Modern cataract surgery – the basics. Cataract surgery has been evolving and progressing continuously since the modern version of the procedure was introduced in 1949 in London. Today surgery is minimally invasive with more than a 99% success rate. 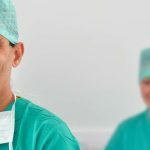 General anaesthetic is only rarely required, and the procedure often takes as little as 10 minutes, with less than a half day required in hospital. Patients often think surgery is carried out using a laser, but actually modern cataract surgery uses a tiny ultrasound probe similar in size to the lead of a pencil. During surgery the eye is numbed so you do not feel pain, and the eyelids are held with a special clip so you cannot blink or close them. A 2-millimetre incision is made at the edge of the cornea to allow access, and the whole operation is done through this cut. The shape of the incision means that after surgery the incision will automatically seal tight without the needs for any stitches (sutureless cataract surgery). As a result, patients can resume most normal activities within a few days. Fourty years ago incisions were much larger and patients needed to remain still in bed for several weeks after surgery while wounds started to heal. The cataract is carefully removed from behind the dilated pupil with the ultrasound probe, and an artificial lens is inserted into position in the same place to allow for good vision. Following lens implantation the eye is filled with a clear antibiotic solution and then surgery is complete. Vision takes a few days to clear due to four factors. Firstly, the pupil dilating drops given before surgery blur vision and take a day or two to wear off. Secondly you will at first be dazzled by the brightness of the operating microscope light. Thirdly the clear plastic shield worn over the eye can blur vision, and finally the antibiotic ointment applied to the eyelashes at the end of surgery can make vision very blurred. Once these four factors have been removed, vision should be good. Expect to use drops four times daily for four weeks after surgery to improve the healing of the eye. © 2016 Laser Vision Scotland. All rights reserved.